PUTRAJAYA: The Federal Court has reviewed the test for locus standi, ruling that a person needs at least a genuine interest in an issue but no longer needs to prove that his rights are affected. To have locus standi (legal standing) means a person is qualified to take legal action, as he is affected to some degree by the issue he is taking action against. 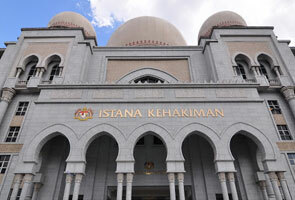 The Federal Court made the ruling when deciding on a suit between the Malaysian Trades Union Congress (MTUC) and the Government for access to the concessionaire agreement involving Syarikat Bekalan Air Selangor Sdn Bhd (Syabas) and an audit report. Justice Hasan Lah ruled that for an applicant to pass the “adversely affected” test, the applicant has to at least show that he has a genuine interest in the subject matter. “However, it is not necessary for the applicant to establish infringement of a private right or the suffering of a special damage,” he said. He ruled that MTUC had shown that it had a genuine interest in the two documents and was adversely affected by the minister’s decision. The panel set aside the test of locus standi as per the 1988 Supreme Court decision in the case of Lim Kit Siang v United Engineers (M) Bhd, in which Lim sought a declaration that the letter of intent issued by the Government to UEM to build the North-South Expressway was invalid. The Supreme Court had ruled that Lim had no locus standi as he had failed to show that his private right had been infringed upon or he had suffered a special damage. However, the panel unanimously upheld the Court of Appeal’s decision to deny MTUC and 12 water consumer associations access to the documents as the audit report was an “official secret” document on grounds that it was tabled before and deliberated by the Cabinet. “As for the concession agreement, the MTUC failed to show that the minister’s decision was illegal and flawed on the ground of procedural impropriety,” said Justice Hasan. The five-man bench, which included Chief Justice Arifin Zakaria, Chief Judge of Malaya Justice Zulkefli Ahmad Makinudin and Justices Hashim Yusoff and Suriyadi Halim Omar, made no order to costs as the case was of public interest. The applicants’ counsel Malik Imtiaz Sarwar said that while his clients may have lost the suit, the decision clarified the law on locus standi. The applicants had on Jan 15, 2007, applied for a judicial review for access to the concessionaire agreement between Syabas and the federal and state governments. On June 28, 2010, the High Court allowed their judicial review, ruling that the disclosure of the documents would not be detrimental to national or public interest. However, on Feb 25, 2011, the Court of Appeal overruled the High Court’s decision and held that they did not have the legal right of access to the audit report and concession agreement. KUALA LUMPUR: The Federal Court’s recent ruling over the test for locus standi, where a person now needs at least a genuine interest in an issue but not longer needs to prove to have his rights affected by it, shows that the country would be seeing an increase of public interest in litigation. Lawyer Syahredzan Johan said this is especially true when it comes to judicial reviews. “This is a positive development as the decision shows that we are a society that are maturing and we want to hold the government accountable,” Syahredzan told Astro AWANI. Syahredzan said the civil society is definitely ready to pursue matters of public interest actively in the court of law, but there are other factors to be considered such as the cost of litigation. “As long as someone who wants to take action in court can take care of the cost, he can bring the matter to court. “However, this does not mean that the floodgate of people demanding for judicial review has been opened. This is because, at the end of the day, the decision cannot be utilized for ‘any flimsy reason’. “Having a genuine interest in the case is still the first hurdle in any case. It just makes it that much more easier for people to satisfy the locus standi, that’s all,” he said. Another lawyer Yusmadi Yusoff echoed this sentiment saying that public interest was used as a benchmark in the court’s decision. “The decision shows that the public interest factor has moved a step further . It is a decision that is welcomed,” he said. However, Yusmadi cautioned that the decision should be used constructively. “This means even if a person who shows a genuine interest in a particular issue can take legal action, there are still other procedures to be followed. “The decision benefits those who are involved in public litigation and needs attention from NGOs and activists,” he said. On Wednesday, the Federal Court had reviewed the test for locus standi, ruling that a person needs at least a genuine interest in an issue but not longer needs to prove to have his rights affected by it. The Federal Court came to the findings when deciding over a suit between Malaysian Trades Union Congress (MTUC) against the Government for access to the concessionaire agreement involving Syarikat Bekalan Air Selangor Sdn Bhd (Syabas) and an audit report. Justices Datuk Hasan Lah ruled that for an applicant to pass the “adversely affected” test, the applicant has to at least show that he has a real and genuine interest in the subject matter. “However, it is not necessary for the applicant to establish infringement of a private right or the suffering of special damage,” said Justice Hasan. The panel also set aside the test of locus standi (legal standing) as per the 1988 Supreme Court decision in the case of Lim Kit Siang versus United Engineers (M) Bhd, where Lim asked for a declaration that the letter of intent issued by the government to UEM to construct the North-South Highway was invalid. The Supreme Court had ruled Lim had no locus standi as he had failed to show that his private right had been infringed or he had suffered a special damage. However, the panel unanimously upheld the Court of Appeal’s decision to deny MTUC access to the documents as the Audit Report was an official secret document, on the ground that it was tabled before and deliberated by the Cabinet. The five-man bench, which also included Chief Justice Tun Arifin Zakaria, Chief Judge of Malaya Justice Tan Sri Zulkefli Ahmad Makinudin, Justices Datuk Hashim Yusoff and Datuk Suriyadi Halim Omar, made no order to costs as the case was of public interest. The applicants (MTUC and the 12) had on Jan 15, 2007, applied for a judicial review for accessing the concessionaire agreement between Syarikat Bekalan Air Selangor (Syabas) and the Federal and state governments. However, on Feb 25, 2011, the Court of Appeal, in a 2-1 majority decision, overruled the High Court’s decision and held that MTUC and the 12 water consumers did not have the legal right of access to the audit report and water concession agreement.